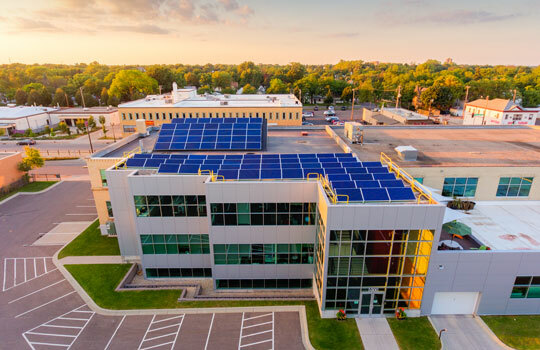 IPS Solar installed this 38 kW Photovoltaic solar electric energy system, located at 1000 University in St. Paul, to offset the electricity load for the apartment’s tenants. 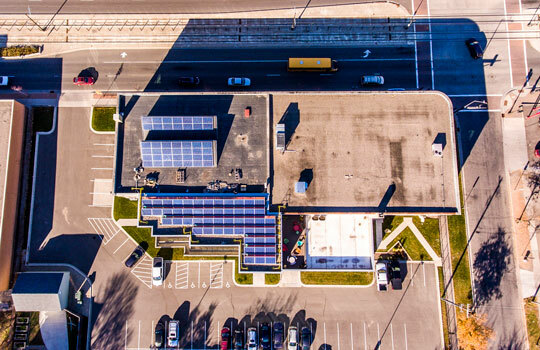 The system produces about 51,691 kWh of electricity on average per year, about half of the building’s usage. Producing 51,691 kWh of electricity annually from coal emits about 41,611 pounds of carbon dioxide. Preventing this much carbon dioxide from being released to the atmosphere is equivalent to adding 240 acres of trees to our forests. Over a 30-year span, IPS expects this system will offset 21,600,000 pounds or 10,800 tons of carbon dioxide.